Way. Too. Cute! Wishing you and yours a merry Christmas! They both look adorable! Happy Christmas! 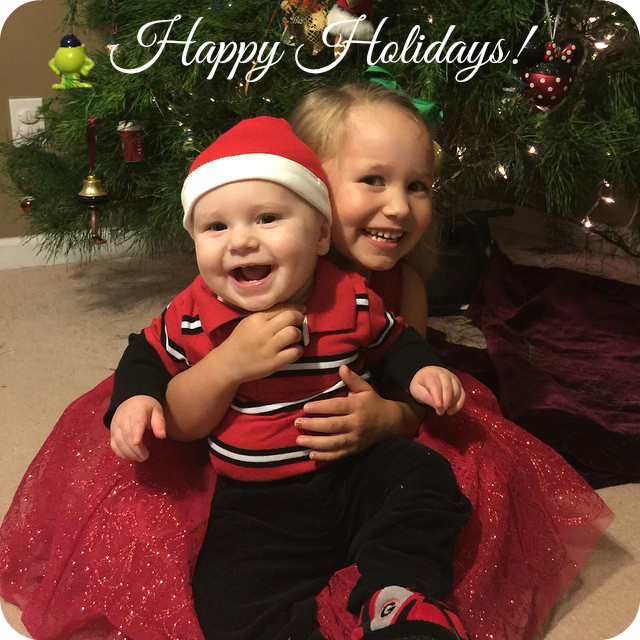 Such cute little tykes - thanks for sharing at http://www.image-in-ing.blogspot.com/2014/12/may-blessings-of-season-be-yours-today.html. The kids look so happy and cute in the photo. Merry Christmas to you and family. They are adorable! Merry Christmas and Happy New Year!